So you’ve arrived at work only to find that all of the trash hasn’t been emptied and the tiny pieces of paper on the floor yesterday are still there today. Kind of makes you not want to even check the restroom to see if the paper has been re-stocked, right? 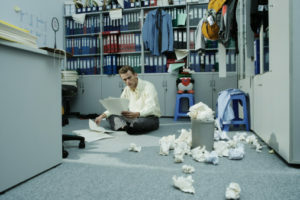 Unfortunately, this is all too often the case with non-professional office cleaners. Professional, traditional cleaning companies have systems in place, such as inspections, to see that their crews are meeting expectations. But there’s also franchise cleaning companies that take quality cleaning a step further by providing customers with a business owner to oversee the cleaning of each account. Those franchisees have invested in their cleaning business so you can bet that they are dedicated to seeing that your office is clean each and every time. How do you know you’re going to get what you pay for? Companies like Jani-King have representatives that meet with every customer, customize a cleaning schedule and establish communication procedures between the franchise owner, customer and even the regional support office. Regular communication and dedicated franchisees have been the backbone of Jani-King’s success for decades. You don’t get to be one of the world’s largest commercial cleaning franchise companies without dedicated and trained office cleaners. 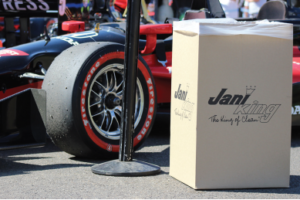 Here’s a link to all of Jani-King’s support offices. With 87 in the U.S. and more around the world, chances are there’s a support office and professional office cleaners right around the corner from you.